PRCC officers may post announcements and information about current and local issues here. Please subscribe to the PRCC email list by following the link to the left if you are interested in receiving PRCC updates by email. Due to our bout with wintery weather, it is in the best interest of everyone to not be out and about in the cold and ice. So the Community Council meeting is CANCELLED. We will let you know if there is a new date this month. Looking forward to our next meeting Tuesday March 5 at 7pm,, we will host our City Councilman Mike O'Brien. Mike is sponosr of Backyard Cottage policy revisions which effectively changes singles family zoing as we no experience it. Mike is also a strong proponent of height increases to new buildings (55 feet in our neighborhood) to try and create "affordable" housing. Both proposals have considerable controversy so this would be a chance to ask question directly. So mark your calenders next month. The Phinney Ridge Community Council (PRCC) held a special board meeting on the evening of January 14th to develop amendments to the Seattle City Council's Mandatory Housing Affordability (MHA) legislation. To meet the 5 p.m. January 15th deadline imposed by city the PRCC board voted to suspend the workflow outlined in its advocacy policy document (https://drive.google.com/drive/u/5/folders/0B2QjsBCM2Zj2cUtNR0J5WkxRNmc). The PRCC board then adopted several amendments to the MHA legislation that will be submitted to the city council for consideration. The themes of these suggested amendments have been previously presented by board members at recent PRCC monthly public meetings. The MHA amendments adopted by the board and transmitted to the city council will be available at our website soon. Please use and/or adapt the following for your own email to the Mayor and Council as you see fit. A PRCC Board Member drafted this text. I generally try not to send political emails to you, but I thought this issue was important enough to make an exception. I'm forwarding an email that I suggest you read from the Queen Anne Community Council. It concerns a proposal by District 6 City Council Member Mike O'Brien to eliminate single-family zoning in the City, and replace all single-family neighborhoods with triplex zones. His proposal would allow three-story triplexes or duplexes plus two-story backyard houses on single-family lots of 3,200 square feet or more, would eliminate all parking requirements for these structures, would allow absentee landlords and speculators to own them, and would allow up to 12 unrelated persons to live on every single-family lot. Although the proposal has sometimes been characterized as simply an effort to ease restrictions on "backyard cottages" and "in-law" apartments, in fact it is a wholesale elimination of single-family neighborhoods. You should also be aware of three more things: 1. The City already allows backyard cottages and in-law apartments in single-family zones; 2. the present rules could be fine-tuned and relaxed with more sensitivity to design and context but without a wholesale elimination of single-family neighborhoods; and 3. According to the Queen Anne Community Council, Council Member O'Brien has rebuffed their proposals to reach a compromise solution. Written expressions of concern and opposition will only be effective if enough people send them. If you are concerned about this proposal, please take a few minutes to write to the mayor and council members. This legislation could pass early next year, so the time to write is now. Please see our December 20, 2018 letter (linked below and attached) to Mayor Durkan expressing concerns of the Phinney Ridge Community Council (PRCC) Board regarding the proposed Detached Accessory Dwelling Unit (DADU) and Accessory Dwelling unit (AADU) legislation. 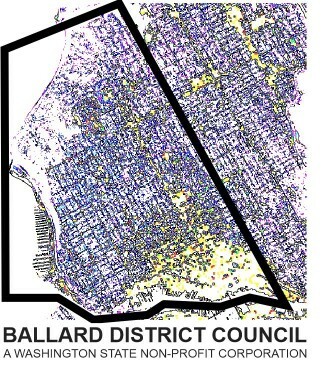 CM O'Brien at Ballard District Council Meeting Dec 12th 7:00 p.m.
Ballard District Council has been an active coalition of Ballard and Crown Hill organizations for over a quarter century.. Originally established under auspices of the City of Seattle’s Department of Neighborhoods we are now independent of the City and incorporated as a Washington State Non Profit. We continue our mission as a forum for community engagement, discussions and information sharing. Councilmember Mike O’Brien’s legislation is now rapidly moving forward to eliminate EVERY single-family neighborhood and convert your property to triplex zoning with no parking or ownership requirements! Please forward this email to every neighbor and friend! Please consider joining hundreds already from all around Seattle in helping us defend you and every Seattle neighborhood by offering a contribution here. And for much more information, please visit our Appeal Website here. Update - QA Appeal of the ADU-EIS. On November 1st, well over 200 Seattleites gathered on Queen Anne to learn more about Councilmember O’Brien’s pending legislation to eliminate all single-family neighborhoods city-wide. Everyone in attendance from all around our city had the opportunity to learn about our appeal and publicly share their opinions, ideas, and personal stories and concerns. Everyone felt it was a great public meeting. QACC submitted a formal Public Records Request a after filing the appeal in order to review all documentation connected with the proposed legislation including the EIS and all other work products surrounding the appeal. The City stated that 100% of that document request will be delivered on that date. Upon receiving the complete set, a QACC committee including our experts and volunteers from around our city will review the document history. During the next few months the QACC committees together with our attorney and professional experts will work to prepare our case which will be heard by the hearing examiner on these dates. Some will question the delay but all parties had conflicts in January, February, and early March 2019. During our Prehearing Conference, we made it clear that QACC is open to negotiating a reasonable settlement including compromises to the legislation. At our city-wide community meeting on November 1st, I invited participation from everyone in attendance to contact us and propose ideas that could improve the legislation in hopes that the city would entertain discussions of compromise from many perspectives. Several accepted the invite. I reached out to Councilmember Mike O’Brien and we grabbed coffee yesterday to discuss the issues and opportunities and areas of compromise that may lie ahead. I proposed that he and the council accept our invitation to review and consider obvious alternatives that the he and the Environmental Impact Statement failed to consider. I saw this as a win-win as I feel strongly that councilmembers should be facilitators, not autocrats strictly beholden to their own narrow ideology. Keep in mind that less than 150 Seattleites attended the only two abbreviated scoping meetings held by the city where the legislation was open for public review! Very few Seattleites know of this huge change! Unfortunately, I must inform you that CM O’Brien has closed the door to negotiating. He relating to me unequivocally that the EIS spoke to all his issues leaving no room to consider any compromise. He remains firmly entrenched in every line-item of his legislation to eliminate every Seattle single-family neighborhood without considering any important neighborhood, property, infrastructure or economic differentiations. One-size-fits-all! In addition, he shared his confidence that every councilmember firmly supports him and his legislation. He left no door open and even told me directly that there was no reason for us to withdraw our appeal – nothing would change! As the EIS is woefully deficient in adequately identifying and analyzing the true environment impacts from CM O’Brien’s indiscriminate conversion of every Seattle neighborhood, we will continue to proceed full-speed ahead in preparing and proving our case, now that we have been given the unambiguous decision from City Hall. Invite you friends and neighbors to write a letter to your councilmember and strongly voice your opinion! Parking required for DADUs and ADUs? Maximum size: 1,000 SF for ADUs, 800 SF for DADUs. Garage space included in this calculation. 1,000 SF for both ADUs and DADUs, PLUS garage space. Setback requirements are also relaxed. Would essentially add two feet to all current limits. No owner-occupancy requirement. Absentee landlord could own all units. Requirements that units be “affordable” to persons of a certain income level? No. The O’Brien proposal would reduce the maximum square footage of homes to half the size of their lot (e.g., you could build a 2,000 SF home on a 4,000 SF lot). However, it would allow two additional houses of 1,000 SF apiece in the backyard of that home. Stated reasons for Queen Anne Community Council’s appeal (See website for appeal at https://queenanneappeal.org/). Note: The following is a summary of a more detailed list in Queen Anne’s notice of appeal. 1. The City didn’t provide for adequate citizen involvement in the process. 2. The EIS doesn’t adequately analyze the proposal’s impacts on issues such as the overall reduction in affordable housing, change in neighborhood character, loss of more modest and affordable homes, increased housing costs for existing residents, and quality of life. 3. The EIS doesn’t adequately analyze the cumulative impact of the proposal in conjunction with HALA upzones in other areas. 4. The EIS doesn’t adequately consider other alternatives that could accomplish its goals with less impact. 5. The EIS doesn’t adequately examine parking impacts. The study on which it relied involved four outlying neighborhoods that don’t represent conditions in more crowded areas. 6. The EIS doesn’t adequately consider the impacts of allowing 12 unrelated persons to live on one lot, especially with respect to parking and traffic-circulation. 7. The EIS provides no comprehensive studies to support its conclusion that removing the owner-occupancy requirement would have no impacts. 8. The EIS doesn’t adequately analyze the proposal’s effect on public utilities. 9. The EIS doesn’t consider a range of alternatives that would vary zoning requirement to fit the unique conditions of different neighborhoods in the City. 10. The EIS doesn’t adequately address the proposal’s effect on the City’s tree canopy. Urgent Action – Every Neighborhood! Please forward this email to neighbors and friends!